At 33 inches axle-to-axle, the Traverse is built on a highly stable platform and provides draw lengths up to 32 1/2 inches. It’s powered by our award-winning Crosscentric Cam technology producing speeds up to 338 fps, while our 3D Damping technology drastically reduces post-shot sound and vibration. The Traverse also features our all-new Engage Grip, which is designed for consistent hand placement to reduce torque and enhance comfort for all shooters regardless of hand size. Draw Lengths 26.5" - 32.5"
May not be the flagship but Mathews didn’t skip any steps with the Taverse. This bow is supper balanced, quiet, smooth to draw, and has overall great shootability . I have tried every Mathews that has come out in the last ten year and this is the first bow that made me set down my Original McPherson’s Series Mathews Monster and make the switch. Placed my order for the Traverse today and couldn’t be happier. 5 out of 5	Traverse is an awesome bow. Picked up the new traverse yesterday. Shot it today, and sighted it in out to 60 yards. Bow shoots flawlessly, quiet, and fast. Chrono had it at 323 when I left the bow shop with a 30 1/2 inch draw, pulling 70 lbs. Groups are super tight, messing up arrows. This bow gives me the confidence I was missing from my older bow. Thank you mathews for a solid product. When I picked up the Traverse, I was impressed with its balance – nothing on it but a Whisker Biscuit, simple three-pin sight and a D-loop. When I drew it, I couldn’t believe how smoothly it drew; so smoothly, in fact, that I let it down and drew it again just to make sure. The draw length on the shop bow was a shade long, but it settled into the valley and just sat there. No fighting the bow and no chasing the dot. The real surprise – joy, actually – was when I fired the first shot and, for that matter, every one afterward. Smooth as butter with no hand shock, no vibration and as quiet a bow as I’ve ever heard. That was on Thursday afternoon. I shot it again on Saturday and the owner of the shot – for whom I used to shoot, said, “You really like that bow, don’t you?” and I replied, “That may very well be the best-shooting bow I’ve ever had in my hand” and placed my order. This is my 3rd Mathews bow. The 33″ ATA offers me a more comfortable string angle with a 30″ draw than some of the shorter ATA bows. The draw cycle is amazing with a very solid back wall. My bow is 70# and draws like my 60# No Cam. This bow is very forgiving and quiet. I’m shooting a 548 grain arrow around 270 fps. I wouldn’t change anything about this bow. This is the bow I’ve been waiting for Mathews to build. The Traverse may not be the flagship bow this year, but is definitely the best bow in this years lineup. Super smooth, extremely stable and paper tuned without a single adjustment on the very first shot. I rushed to my Mathews dealer when the new bows came out this week. I was a big fan of the Triax but did not buy one because of ATA length, 28” is too extreme for me at 29” draw. 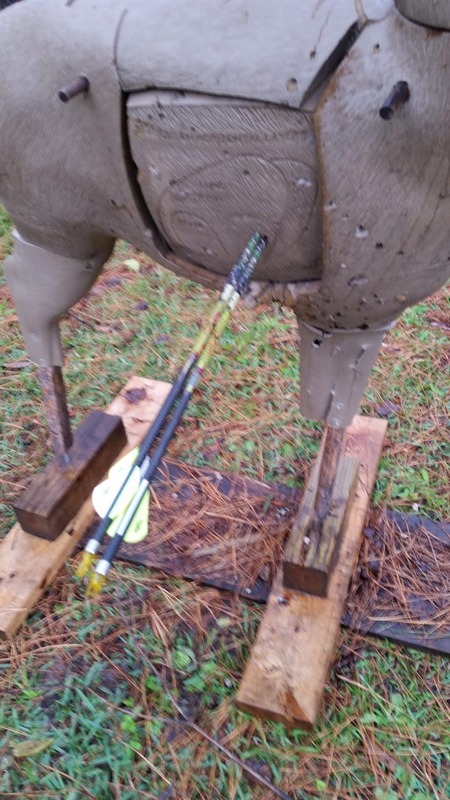 I thought the Vertix would be the perfect bow for me at 30”ATA, I was wrong, but the Traverse was perfect. I have been shooting a Chill X for years now and think it is one of the smoothest and most forgiving bows Mathews ever made. My only 2 complaints were speed (slowish) and ATA length (35”). The Traverse solves both problems (fast & 33”). I shot my Chill X and the Traverse side by side (and the Triax, TX5 and Vertix) the Traverse was the smoothest cycle in my opinion, followed by the Chill X. When comparing speeds on my Chill X to the Traverse, I was blown away. The Traverse is truly the bow for long armed hunters. I ordered mine today and can’t wait to get it sighted in. Getting back in to bow hunting after a lengthy break. Walked in to local retailer to take a look at what’s out there and bought the new Traverse on the spot. I have been shooting Mathews for a decade and this new bow is so far superior from my previous Solo Cam. So looking forward to future hunts. Just purchased a Traverse today. My first two shots through paper made one hole. This bow shoots great, highly recommended. I went in to my local Mathews dealer today to shoot and compare two bows. The new 2019 Traverse and the Halon X. I was and am still blown away how nice that Traverse is. I told the store manager I didn’t know that Mathews bows shot that good! I will be placing my order for the new Traverse ASAP. I have not been this excited to purchase a new bow in quite some time. Good job Mathews! 5 out of 5	Keith,pa. do you have a minute? Let me tell you about my new traverse I just picked up. The smoothest,the most accurate,the most impressive bow I have ever owned. I have owned numerous Mathews bows and they never ceased to amaze me! A true stellar bow company. Listen to me , I repeat, listen to me if you are looking for a new bow do not sell yourself short. Go shoot a Mathews, fair warning be prepared to own one .did I mention how much I love my Mathews traverse!! Thank you Mathews. triax, traverse,vertix…….awesome what else is there to say. I own all three. After years of shooting another top brand I made the switch back to mathews. This was a no brainer after shooting all the top bows this year. Tough call between the Traverse or the Vertix but in the end the Traverse was better for my 30″ draw. Very smooth and unbelievably quiet. But the best part was how this bow holds on target. Plus it’s always nice when a bow tunes perfectly within an half hour of testing. The strings did stretch a bit after a few hundred arrows but a quick touch up and i was back to bullet holes in no time. I would recommend anyone looking for a new bow to give it a try, you’ll be very pleased.